On March 1st, we unleashed podcast hosting as a major expansion to the great analytics service FeedPress customers already use. During early development stages, we knew we would have to iterate and continue to expand its features and functionality, while retaining its simplicity and ease of use. 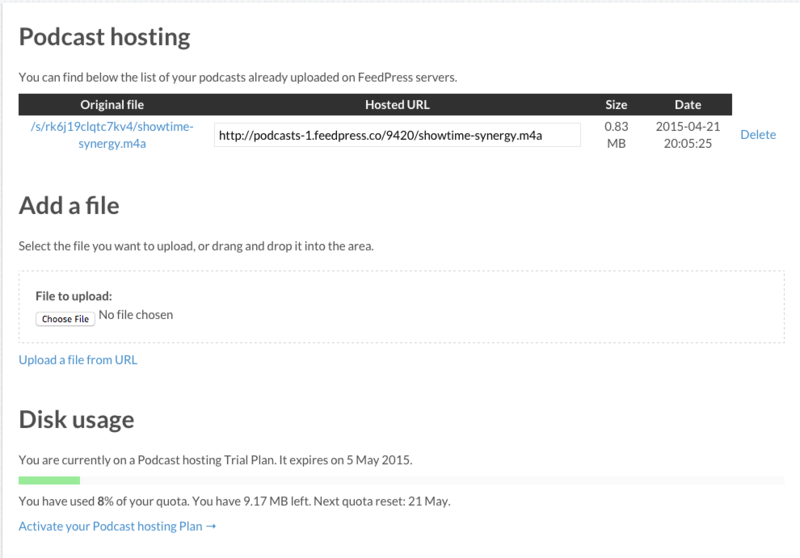 Today we’re announcing a new feature that allows podcasters to upload a file from an external URL. There are a few reasons why this is useful, which I’ll elucidate in just a moment. 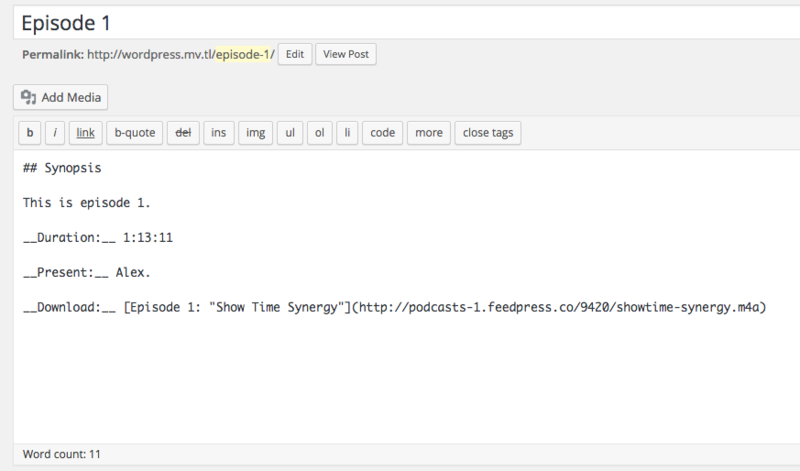 If you’re hosting your podcast with FeedPress, you can find this under Settings > Your podcast in your feed dashboard. Since our web app has a responsive design, you can use the upload from external URL feature to upload a file on your smartphone. To get started, copy the URL and paste it into the URL field and click Start Upload. Once the upload completes, FeedPress will show you the link for the file, which you can grab and use when you publish a new episode of your podcast. I co-host a few podcasts, and since audio editing duties fall on just one person, it’s very easy for someone to drop a file into Dropbox and then upload it to FeedPress from a smartphone. This makes it incredibly easy to publish a new episode on the go, as sometimes we’re out and don’t take our computers with us. Step 1: After editing a podcast and bouncing it to disk in Garageband, I drop the file into a Dropbox folder that is shared with my co-hosts. 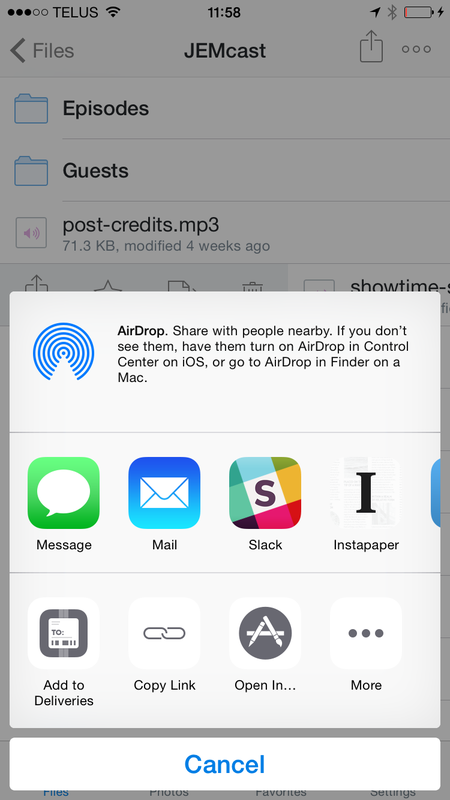 On my iPhone, I open the Dropbox app, swipe right, and copy the shared link (tap on Copy Link). On my iPhone, I open Safari and go to my FeedPress file manager. Now all I need to do is paste the Dropbox link that I copied in step 1 into the File URL field and start the upload. 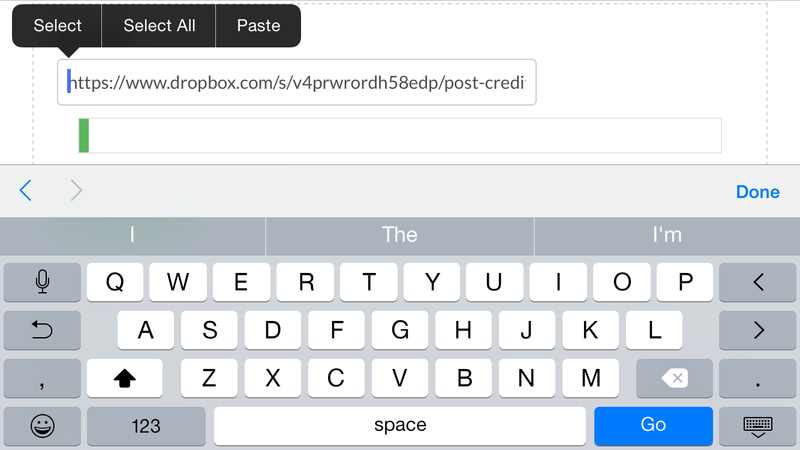 Step 3: Now that I FeedPress has my file, I copy the URL, open the WordPress app, and add it to a post. We detect media files in posts, so you don’t need to do anything fancy, other than have the link in the body of the post. Notice that I’m using Markdown syntax in my post, which is how I like to format things (if you prefer to write in HTML, that works too). If you’re currently hosting on another provider like Libsyn, you can grab any supported audio file URL, such as .mp3 and .m4a and use this to transfer your files. We encourage all podcasters who host with us to give mobile uploading a try; we think you’re going to like it. If you have any questions or would like to send feedback, please get in touch.